Abstract: Looking at concrete representations of mathematical problems from an isomorphic perspective, this article suggests that every concrete representation of a mathematical concept is understood by reference to an underlying abstract representation in the mind of the comprehender. The complex form of every abstract representation of a problem is created by the gradual development of its elementary form. Throughout the process of cognitive development, new features are added to the elementary form of abstract representation, which leads to gradual formation of a fully developed abstract representation in the mind. Every developed abstract representation of a problem is the underlying source for understanding an infinite number of concrete isomorphic representations. Deep or abstract representations of a problem are shared by the concrete realizations or concrete forms of that problem. In other words, concrete representations of a problem are the realizations of a single abstract representation. This discussion is extended to mind-brain relationship and the possible isomorphism that could exist between mind and brain. Abstract: Theory of Mind, or the ability to attribute mental states to the self and others, forms the foundation of social cognitive processes or social cognition. Since its conception in 1978, the construct has been enjoying increasing attention from researchers and it has been widely studied in the context of autism spectrum disorder. This paper tries to review the issues surrounding the assessment of the construct. Theory of Mind (ToM) assessment goes almost synonymously with false belief tests. And assessing ToM with false belief tasks did not pose a problem because the construct had traditionally been studied mostly, if not exclusively on children. This paper discusses the danger of testing theory of mind with false belief tasks only and the serious necessity to study the construct in the adult population. The paper also discusses why the construct needs to be assessed in a culture-specific manner, the problems with the existing recent tools that have been developed to measure the construct, the complexity of simulating real social stimuli, and the subtleties around the construct that is to be taken care of while developing assessment measures. Abstract: In the literature on emotion, it is common to associate this phenomenon with unconscious and/or subcortical mechanisms directly linked to survival circuits, which is recurringly called “traditional view of emotion.” However, LeDoux and Brown have recently proposed that emotion is a high-order and cortical process carried out by what he calls general networks of cognition (GNC), which consists mainly of prefrontal mechanisms. Here, I assess the new ideas brought by this model to the field. I assess on what this model is based, its explanatory power, and what it means for the interpretation and discussion of empirical data. I also discuss how LeDoux and Brown's model of conscious emotion explains and interprets some recurring topics in the literature on emotion, such as nonhuman emotional experience, prefrontal functioning, freezing behavior, emotion regulation, and pleasure mechanisms. Above all, my goal is to provide theoretical tools for empirical and theoretical discussions on this recent issue. Abstract: Although neuroscientific findings have significantly increased knowledge in the clinical field, the field literature has highlighted some limitations that the use of these findings involves. In particular, we found biases that lead clinical practitioners to reify or unduly consider neuroscientific data because of psychological or psychiatric aspects. This literature review aimed to highlight neuroscientific studies that specified significant brain changes that may occur in humans. Starting with Prisma procedures, we conducted a review of the literature using the following databases: Scopus, Medline, PubMed, and Google Scholar. The results were grouped according to data underlining the considerable neuronal plasticity and synaptogenesis that occur in humans. In particular, the data found related to the following categories: learning and changes in the somatosensory and motor cortices; cross-modal plasticity in individuals who have lost one sensory modality; further cases of training-dependent plasticity; neuromuscular junction plasticity; synaptogenesis, synaptic modulation, and long-term potentiation; receptor adaptation involving adaptive-cellular tolerance or pharmacodynamics and experience; placebo, cognition-dependent physiological activity and endogenous pharmacotherapy; and significance-dependent physiological modulation and adaptive coping. As a result, the clinical need to counteract the idea of a passive subject who is controlled by his/her brain to ensure more accurate care of his/her health was identified. Clinical practitioners can foster this process by reducing biases and by adopting an approach based on the circularity of interdisciplinary interactions rather than on reductionism and oversimplification. Abstract: Persistent aura without infarction (PAWI) is one of the complications of migraine. In comparison to classic migraine aura, pathological visual phenomena are present constantly, at least for 1 week, but often for more. An efficient treatment for PAWI is currently unknown. Repetitive transcranial magnetic stimulation (rTMS) is a progressive, non-invasive therapeutic method using a magnetic field transmitted through a special coil to activate the neural tracts in the brain. The efficacy of rTMS has been proven in treating several neurological disorders. The aim of this review article is to suggest a proper rTMS protocol for treating PAWI in the pursuance of studies to date. Abstract: Bleulerʼs concept of the splitting of the psychic functions in schizophrenia seems to be closely related to disturbances of neural binding related to perception, disorganized thoughts, and “blunted” or “flat” affects and suggests that disruptions of this coherent neural binding produce disintegration or splitting of consciousness. This abnormal integration of sensory input with stored information as a consequence of impaired neural circuits manifests as a failure of integrative brain functions. An important role in this process of the brain synchronization and integration likely plays temporal processes representing “internal clocks” which involve neurons localized in suprachiasmatic nuclei and also the pineal gland and other structures participating in neuroendocrine rhythmicity. The evidence also shows that melatonin is closely related to processes that contribute to memory formation, long-term potentiation, and synaptic plasticity mainly in the hippocampus and also in other brain regions. These findings also indicate that melatonin has very important and specific role in mechanisms of consciousness, in processes of memory consolidation, and also in their specific changes related to stress experiences which might be observed in various mental disorders. The growing evidence about these processes of temporal disorganization has been reported in schizophrenia which most likely may be understood in the modern conceptualization of schizophrenia that reminds its traditional conceptualization by Bleuler. Abstract: Looking at metaphor comprehension from the perspective of distributed models of conceptual representation, this article describes the process of suppression through which metaphorically irrelevant features of metaphor’s vehicle are suppressed. Distributed models of conceptual representation hold that meaning of every concept is represented by a set of feature nodes in a connectionist network, and the coactivation of these nodes leads to the understanding of that concept. Based on these models, it is suggested that degree of distinctiveness of features play an important role in the suppression of metaphorically irrelevant features during metaphor comprehension. When the metaphor X is a Y is processed, a salient feature of Y creates a metaphorical class to which both topic (X) and vehicle (Y) belong. The rest of features, which are metaphorically irrelevant, are suppressed. Those irrelevant features which have a high degree of correlational strength are suppressed collectively. Finally, the key role of metaphor’s topic in the suppression of metaphorically irrelevant features is discussed. It is suggested that the set of suppressed features is dependent on the topic. If the defining feature of the metaphorical class of the vehicle (Y) matches the topic (X), the rest of features will be suppressed. In this situation, both topic and vehicle of the metaphor are included in a common metaphorical class. If the defining feature of metaphorical class of the vehicle (Y) does not match the topic (X), X is understood in its literal sense, and the sentence X is a Y will not have a logical metaphorical interpretation. Abstract: The belief and prevalence of self-report anomalous information reception (AIR) is widespread worldwide. Some argue that these experiences are a dissociative type of pathology. However, researchers have found conflicting dissociative symptoms in people who claim AIR, with some studies demonstrating differences between those that do and do not endorse AIR experiences and other studies showing increased dissociative symptoms but not at a pathological level. The purpose of this study was to analyze the relationship of dissociative symptoms to self-report AIR experiences in a large secondary dataset of 2215 participants. Participants were mostly middle-aged, Caucasian, well-educated, not in relationship, middle- to upper-class adults from the USA who were raised Christian but now identify as “Spiritual but not religious.” The occupations were quite varied. The AIR experiences usually began in childhood, and most participants had family members with similar experiences. Clairempathy (87.9%) or the ability to feel the emotions of another person or non-physical entity and claircognizance (88.1%) or the ability to understand or know something without any direct evidence or reasoning process were the most commonly endorsed AIR experiences. They also had the highest weighted scores that summed AIR endorsement, and perceived strength, frequency, and accuracy. Pyrokinesis, levitation, and psychic surgery were quite rare. The mean Dissociation Experience Scale score for all participants was 15.4% ± 17.3. Variability in the total weighted AIR experience score (R-squared, 0.34) was accounted for by the Dissociation Experience Scale score, age, quadratic age, race, education, income, relationship status, family history of AIR experiences, childhood spirituality and importance, and current spirituality and importance (F (26, 1670) = 34.2, p < 0.00005). More research is needed to examine the impact of AIR on people’s lives and functionality when having AIR experiences. Abstract: When a couple cannot conceive, it is commonly assumed that an underlying medical problem can be identified. However, emotional and psychological issues may play an important role in the development of infertility. In addition, assisted reproductive techniques (ARTs) themselves may add to this stress in susceptible individuals. Infertile couples may have an increased susceptibility to these adverse effects. This in turn may result in increased risks for long-term psychological and medical problems in both the parents and the newborn. Among mechanisms mediating these effects altered DNA methylation affecting epigenetic regulation, preterm delivery, vanishing twin syndrome and the persistence of cell-free fetal DNA might be particularly important. Since emotional and psychological problems are highly prevalent in this population and ARTs can adversely influence these, we suggest that a thorough psychological evaluation should be an integral part of both the evaluation process for infertility and the follow-up after assisted reproduction. Furthermore, regarding the mentioned studies here, we propose that ARTs may induce stress-related epigenetic and neurodevelopmental risk. Abstract: This article discusses the processes through which deep or underlying similarity among concretely different systems is constructed in the mind of a comprehender. Several mathematical examples are discussed in order to present a picture of a suppressive-oriented process which results in the construction of an abstract system in the mind. It is suggested that deep, abstract, or structural homogeneity between two or among a number of concretely different systems is discovered by similar patterns of neural activity and a de-activation-based mode of processing. Those nodes and neural activities that represent concrete or irrelevant properties are de-activated throughout this process. In this way, the irrelevant properties are filtered out, resulting in the discovery of underlying similarity among concretely different systems. Finally, the process of modeling, through which a limited set of defining features is found for a system, is discussed. To make the point clear, several vector quantities and their shared features are elaborated on. Abstract: We summarize scientific articles about burnout syndrome among medical professionals. While critically reviewing these articles, we describe the effect of burnout, the target groups which are in most danger and most affected by burnout syndrome and the predictors, which are strongly linked to prevalence of burnout syndrome both in a positive and negative way with special focus on demographic predictors and work-related status. The main aim is to identify still missing or discrepant parts of burnout syndrome research. Abstract: Purposes of this study were empirical research of prevalence of psychiatric morbidity (PM) in male prisoners suffering from borderline personality disorder (BPD) and also relations between PM and pattern of substance dependence (SD). This cross-sectional study was done at a prison hospital with total sample size of 712 participants (study = 306, control = 306). The study period was 20 months. All participants were male prisoner ≥ 18 years of age suffering from BPD. Participants in study group met an additional criterion of having SD. Results indicate that there was no difference between two groups in terms of socio-demographic variables like age, educational status, and occupation. Among study participants those suffering from PM had earlier onset of substance use, both use and dependence for longer duration and more sever consumption pattern than those without PM. Majority of them had onset of PM after onset of SD. Substance using BPD prisoners had higher (68.6%) prevalence of PM especially generalized anxiety disorder (GAD) (24.2%), adjustment disorder (12.7%), and major depressive disorder (MDD)/recurrent depressive disorder (RDD) (11.1%). Among study participants, 118 (56.9%) participants with PM used three or more than three psychoactive substances against 20(20.3%) in those without PM. The results suggest that a higher burden of PM exists in substance using BPD population than those without PM and occurrence of PM in turn leads to earlier onset and increased severity of SD in this population. Abstract: Dream characters continue their enduring presence in dreams in general as the prevalent feature of dreaming consciousness. The present work focuses on non-lucid problem-solving dreams, and dream characters’ types of involvement and range of their relational capacities. The analysis of 979 cross-cultural problem-solving dreams using the method of grounded theory yielded 56 exemplary dreams. From the perspective of cross-state consciousness, the tentative explanatory frameworks include attained waking-life relational schemas, habitual or emerging patterns of organizing inner experiences in distress, and potential reliance on adaptive involuntary homeostatic mechanisms. The discussion of results centers on dream characters’ positive and negative involvements in dreamers’ portrayals of family constellations, and dreamers’ reactions and responses to dream characters’ experiencing problems separately from the dreamer and together with the dreamer. In terms of relational capacities, dream characters display beneficence toward the dreamer in the form of kindness, helpful intentions, and behaviors, or they instigate problems for the dreamers and display injurious and harmful attitudes, intentions, or behaviors. Limitations of the study include a study sample from highly motivated dreamers. Further research might focus on similarities or differences in dream characters’ involvement in problematic situations dreamers experience during lucid dreaming. Abstract: Virally induced encephalitis, specifically by the herpes simplex-1 virus (HSV-1), is by far the most common cause of encephalitis, or the inflammation of the brain tissue as a result of infection (J NEUROIMMUNOL 295–296:130–138, 2016). This review combines some of the most recent literature regarding the biological mechanisms of HSV-1 to detail its transition to a viral infection of the brain in the form of herpes simplex encephalitis (HSE). Although rare, HSE is a devastating infection with a high mortality rate and few treatment options available that guarantee a successful recovery (J NEUROVIROL 4:346–350, 2013). Accompanied by a range of neurological and psychological symptoms, patients that survive infection with HSE, with the help of proper antiviral medication administration, can experience lifelong impairments to their cognitive functioning and changes to their behavior and personality (NEUROPSYCHOL REHABIL 4–5:450–477, 2007). By documenting the progression of HSV-1 infection to HSE, highlighting some of the clinical presentations described in the literature, and presenting the long-term effects of this infection, this review will emphasize the importance of education as a tool for lowering HSE-related fatalities while suggesting increased research in neurotropic viruses and viral replication in general. Abstract: Our memories of misdeed become less clear over time; this is known as unethical amnesia. Recently, Kouchaki and Gino (Proceedings of the National Academy of Sciences USA, 113(22), 6166-6171, 2016) explained that unethical amnesia occurs because of the psychological distress and discomfort such illegal acts cause (psychological mechanism). Notably, unethical amnesia has two components: cognitive as well as emotion. Authors have not explained the possible cognitive-emotional and neural mechanisms underlying unethical amnesia. To get the complete picture of unethical amnesia, I firmly believe that along with psychological mechanisms, it is essential to explain underlying cognitive-emotional and neural mechanisms, which is the primary focus of this paper. Together, it will give real insight to the reader to understand this phenomenon. Abstract: The term splitting is defined as a process of mental division of complex structures related to cognitive and affective conflicting experiences. Recent findings indicate that mental splitting in schizophrenia might be represented by disrupted organization of neural information transmission. This disturbed neural information processing likely may determine deficits in mental disorganization described in neuroscientific theories of disturbed connectivity, corollary discharges and dynamic complexity. In this context, a purpose of this article is to review basic neuroscience theories of schizophrenia that complementarily reflect mind-brain information connectivity. These underlying disruptions of neural integrity might represent neural correlates of the splitting in schizophrenia that provide novel descriptions of mind-brain relationships. 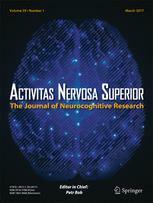 Abstract: According to current findings, deficits of self-awareness and conscious experience play an important role in psychobiology of schizophrenia, and therefore, schizophrenia is recently understood as a disorder characterized by distortions of the acts of awareness, self-consciousness, or self-monitoring. These findings are consistent with other studies suggesting that thought disorder and disorganization in schizophrenia are caused by deficits in brain integrative functions reflected by disturbed gamma synchrony reported in patients with schizophrenia, which remind original Bleuler’s concept of splitting. Main implications of these findings suggest that mental disorganization in schizophrenia may reflect brain disintegration which might provide new perspectives for understanding relationships between clinical symptoms and pathophysiological mechanisms of schizophrenia. Abstract: Dream characters are present in dreams as the pervasive feature of dreaming consciousness. The current research was guided by the question, “What could be the types of dream characters’ involvement and range of their relational capacities in non-lucid problem-solving dreams'” In this study, 979 cross-cultural operationally defined problem-solving dreams were analyzed by the method of grounded theory for the dream characters’ participation and input into solutions and their relational skills, capacities, and abilities. The analysis yielded 56 exemplary dreams ranging from dreamers’ longing for characters and recalling helpful character, to their involvement in family dynamics, characters’ experiences of problems, joint problematic experiences, and characters’ helpful use of capacities and instigation of problems for the dreamer. Discussion revolves about dream characters’ absence and recalled presence. In the subsequent article, the author will present additional results, conclude the discussion, and include limitations of study and suggestions for future research. Abstract: Mild traumatic brain injury (mTBI) may lead to a wide variety of brain function alterations and is nowadays one of the least understood issues within neuroscience and sports medicine communities. Investigation and characterization of these functional abnormities are key to a better understanding of such changes. In current paper, a review of event-related potential (ERP) changes after mTBI is provided with the aim to critically evaluate this electrophysiological technique as a possible future diagnostic tool for impairments following the mTBI. Abstract: Besides dream selves—the experiencing individual dreamers—non-lucid dreams are often populated by characters. Because it is not yet known what could be the dream characters’ involvement and range of capacities in non-lucid problem-solving dreams, this paper focuses, in the preparation for the second part of this article, on the applicable literature about characters’ presence in non-lucid dreams. The aim of the present paper is thus to briefly review the variety of forms in which dream characters appear; the uncontrollable occurrences they are exposed to; the activities, abilities, or skills they demonstrate; and their ways of involvement with dreamers’ selves.